Nestled on a friendly, cul-de-sac street in a polished community, this generously spacious home is a true treasure. Ideally located within moments of the community clubhouse, playground, and pool, and a short drive to Summerfield Crossings Golf Club. 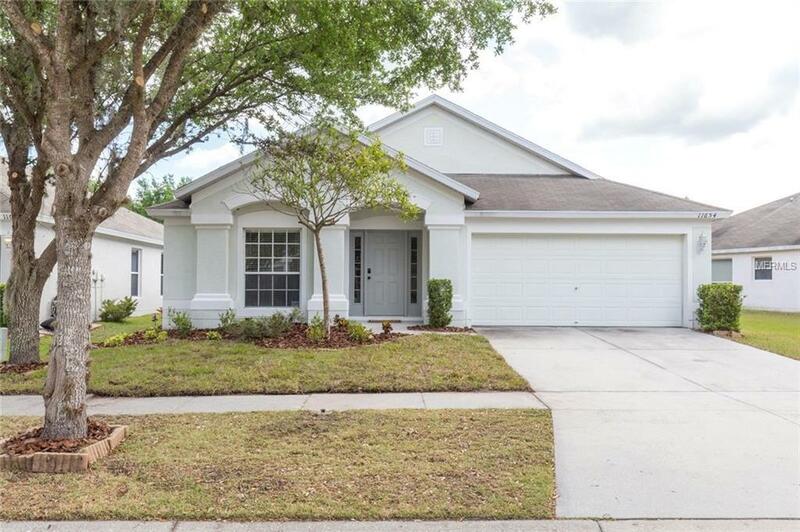 Those who appreciate that warm, Floridian air can also enjoy it from the comfort of the large front and back lawn, complete with a patio perfect for dining al fresco. You will be delighted to find a very open floor plan with beautiful archways connecting all the common areas. Boasting a tastefully capacious kitchen with beautiful wood cabinets, and large, carpeted bedrooms, this home has it all! The master bedroom is unbelievable, flaunting ample space, walk-in closet, and en-suite bathroom featuring dual vanities, a walk in shower, AND a tub! This home is a must-see. Don't miss your opportunity! Listing provided courtesy of Maxim Properties Inc.